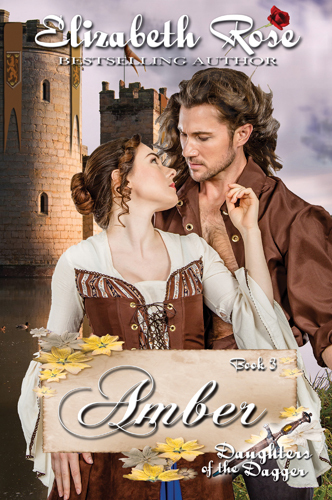 Amber de Burgh is a novice of Bowerwood Abbey, training to become a nun. But one night a wounded man named Lucifer stumbles into the church spouting blasphemy, and everyone says he’s the devil. Lucifer, or Lucas, has had a tarnished past and his future fares no better. He will do anything to change his lifestyle, even getting caught up in church corruption. When Amber and Lucas are sent on a pilgrimage to Canterbury together, both of them will have their morals and virtues tested, and there’s a good chance neither of them will return the same. Vespers had just finished, and Amber de Burgh of Blackpool, novice of the Sisters of St. Ermengild, blessed herself as the doors to the church slammed open, and in entered the devil himself. All heads of the congregation of praying nuns and monks turned toward the door, and Father Armand who was conducting the service looked up sharply in surprise. Commotion broke out and the occupants of the church parted like the Red Sea. The nuns huddled together in a hurry, quickly blessing themselves and praying aloud in the process. The monks gathered together at the other side of the church in hushed silence. Amber raised her chin looking over the heads of the nuns, surprised to see a man standing in the doorway instead of the horned and hoofed demon she expected to find. A bedraggled man with a chain around his neck and chains on his wrists stood in the entranceway. His legs were spread, and his hands raised to stop the doors of the church as they hit the wall and swung back toward him. Lightning illuminated him from behind, and thunder boomed from outside as rain pelted down like a barrage of arrows from the sky, crashing against the stone steps of the church directly behind him. Cries of shock went up from the group of nuns around Amber and one of them swooned, ending up prone on the floor in a tangle of her black robes and long veil. Several of the sisters rushed over to assist her. The monks at the other end of the church conversed in hushed whispers behind their hands. Amber curiously made her way from the wooden bench at the front of the church closer to the door to gaze upon this spawn of the devil. “You are naught but the devil,” shouted the priest. “Lord Jesus Christ, we beg your forgiveness for this possessed man who has entered into your house of worship.” The priest made his way down the steps of the dais, raising his book of prayer to the sky as he walked a straight line toward the angry man. “God’s eyes, look what you’ve done to me,” spat the devil man in the doorway. That’s when Amber noticed the gashing wound in his side and the trail of blood behind him as he took a step forward. “I will not!” shouted the man the priest had called Lucifer, stumbling forward and catching himself on the edge of a bench, bent over. “I seek refuse and ministrations and dammit to hell I will get what I came for and not be sent away again.” His words were filled with anger and venom, and Amber felt the fear in the room as the nuns cowered together watching with wide eyes and the monks huddled together in the shadows. The priest grabbed hold of a tall free-standing iron candleholder, slowly making his way toward the wounded man. Lucifer had shoulder-length dark blond hair that was soaked from the rain. The water ran in rivulets down his dirtied face and neck, and she could see his coarse, brown tunic ripped down the front and exposing his naked broad chest that was scratched and scarred. His face was covered with a mustache and full beard that made him seem as though he’d been on the road for quite some time. He had a traveler’s bag made of canvas with a long strap slung across his chest that hung down across one side of him. And on his waist he donned a sword and also a dagger. He was bent over now, his hand holding his side, and slowly he stood up, holding up his palm outward for all to see it covered with blood. Shrieks went up from the nuns, and Sister Dulcina, the abbess, gathered the women closer. “Get away from him quickly,” she instructed, moving her large frame in front of them in a protective manner with her arms outstretched as she herded the women together at the front of the church. Amber had been a novice of the Sisters of St. Ermengild at Bowerwood Abbey and Monastery in Kent for three months now. Her petition to become a nun and live by the ways of God had been granted easily. She supposed ’twas because of the sizeable wealthy dowry that had accompanied her and was eagerly accepted by Father Armand who oversaw the double monastery that housed both nuns and monks. Still, it didn’t matter to her. She’d made her decision to atone for the sins of her family, and she would do whatever it took to ensure an easy path to Heaven for those she loved. She’d passed her trial month of being a postulant and was now in training that would last a full year before she took her final vows. She had only nine months left until she would become a full-fledged nun. She’d come from a noble and wealthy family, being one of the four daughters of the earl of Blackpool. And while her older two sisters, Ruby and Sapphire were married, her twin sister, Amethyst still resided with her father at home in the castle. But Amber had decided she would never be married to anyone but God. She would pay for the greed and deceit of her deceased mother who had tried to steal, and also the sins of killing a man and adultery committed by her older sisters. She would devote her life to prayer and helping the less fortunate. She hoped to bring about the grace and forgiveness for her family that was required in order to assure a successful place in God’s domain once they passed on. “He’s hurt,” said Amber, hurrying across the room towards the man, her instinctive nature to help and serve winning over her fear. She never made it to the man, as Father Armand’s arm reached out to block her, his prayer book dropping to the ground in the process at her feet. “He’s dangerous. Stay away from him,” the priest warned. “Sister Amber, come join us quickly,” called out the abbess from the other side of the church. “But ’tis our duty to help the sick and wounded. And to take in travelers on their journey as they pass through.” She bent down to pick up the priest’s prayer book, and from her position she could see the stranger’s face clearly. Lucifer’s chin was raised slightly, though his body was still bent over and his hand pushed upon his wound to try to stop the flow of blood. His eyes were angry yet captivating at the same time, as they were birdlike, and the lightest blue she’d ever seen. And also the most dangerous. His face held the look of a man gone mad, and his gaze was locked directly on her. She was too frightened to move, and in the same moment, too intrigued to look away. She was staring into the eyes of the devil and she oddly found herself mesmerized by this man though she didn’t understand why. Love the cover to this book ! I think this only one series i havent read!